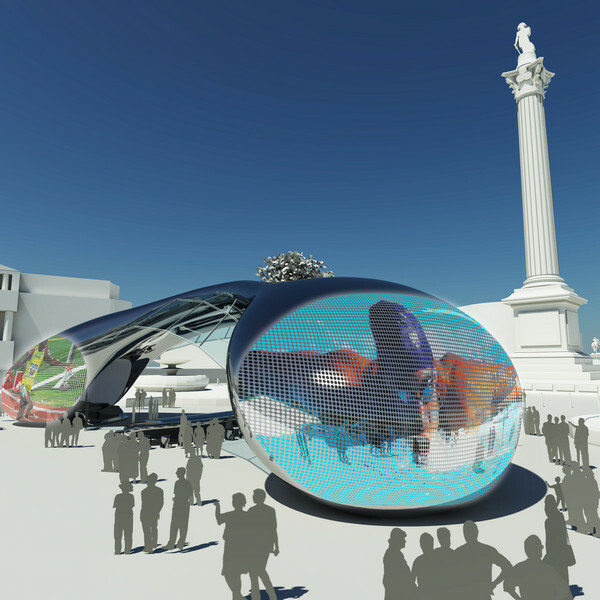 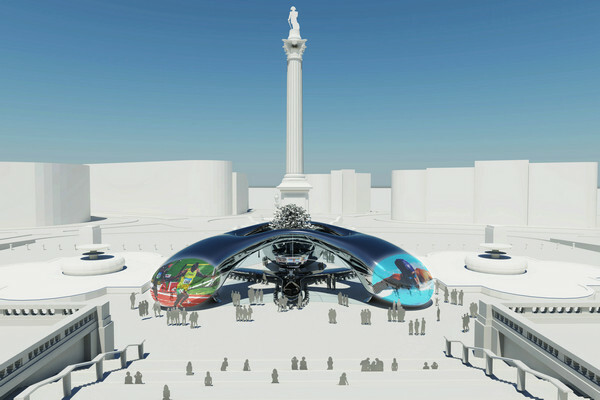 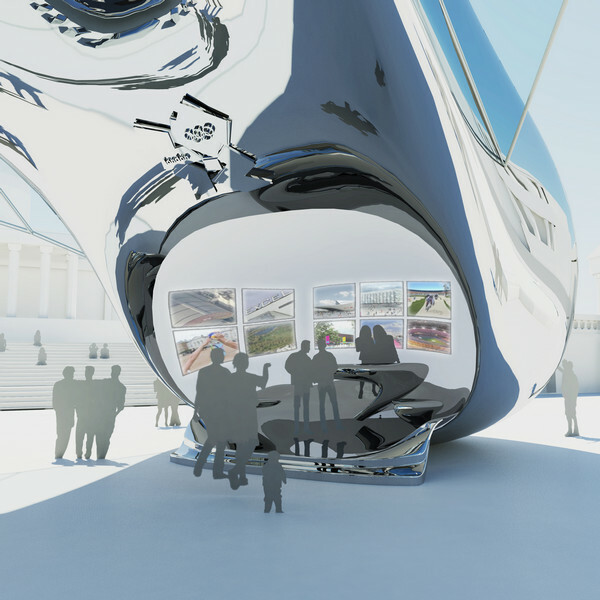 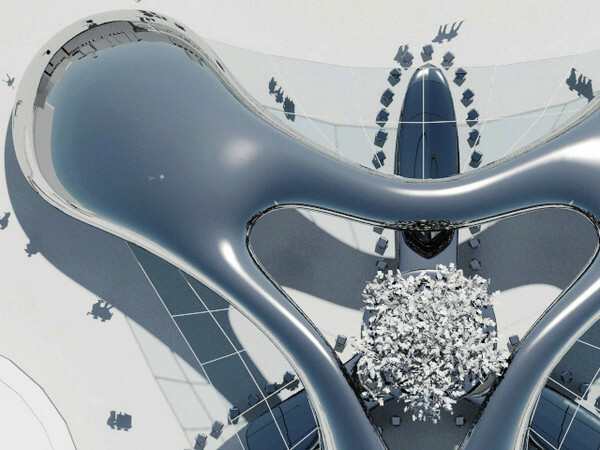 "To honour London’s imminent hosting of the 2012 Olympic games, James Law Cybertecture has presented an Olympic Pavilion X design to offer a statement of passion and excellence whilst providing a thrilling platform for memorable celebrations by the city and its citizens. 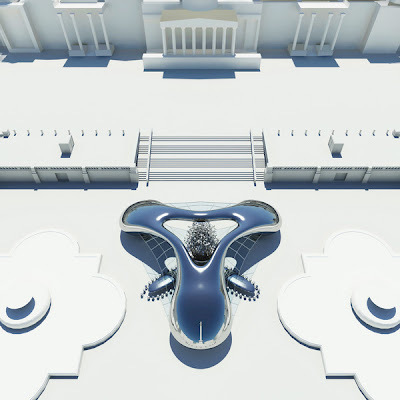 Inspired by the fluid shape of a raindrop splash, Olympic Pavilion X becomes a modern iconic landmark to inject both fun and flair to the monumental Trafalgar Square. 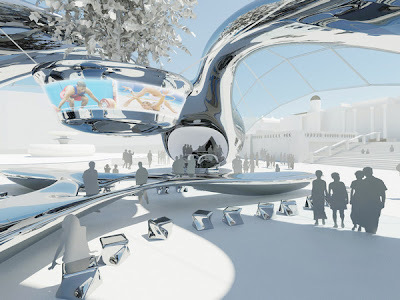 With an electrifying exterior façade stretching 375 square meters, Olympic Pavilion X offers functional features of information center, souvenir shop and administration office at the tip of its three separate corners. 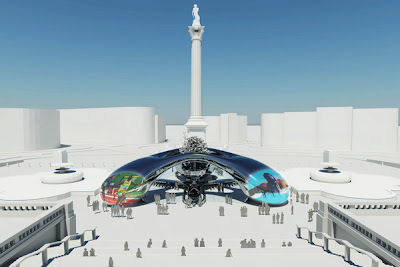 I've always wanted to go to see Cloud Gate so I guess if this does go ahead, this will be like a local 'knock off'... It's beautiful and all, but just too similar to Kapoor's work!